Looking at this current Penguins team, two things are abundantly clear. In terms of depth, this team is maybe the weakest since 2006. The Penguins have been top heavy for a few years, but this year it is even more apparent. 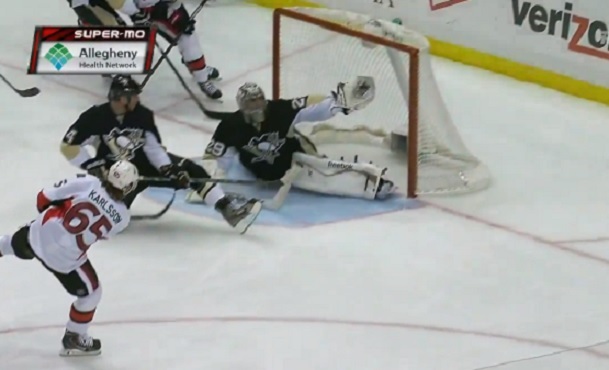 The other thing that is abundantly clear is that Marc-Andre Fleury is at the very top of his game. He has not looked this good since 2009, and as they always say, great goaltending cures many ill wills. When most people look at this Penguins team, they assume their cup chances are minimal. Fans point to their lack of depth, as well as their recent stretch in March. They went 8-7-1 and looked very tired at times. There is reason to be happy if you are a Penguins fan, however. Many of the players that are injured will return shortly. Beau Bennett looked great in his return Friday night, and players like Malkin, Martin, and even Letang should return in time to help for the first-round of the playoffs. All that being said, it will be inevitable that the Penguins will go up against a team that can shut down the first two lines (a la Boston in 2013), and the Penguins will need to rely on the lone man between the pipes. To those of you I spoke to on Twitter that suggested goaltending can't mean that much in the postseason and that this team has too many issues for great goaltending to solve... let's look at some of the postseasons in the past 5 years. The first example that came to mind was the Philadelphia Flyers in the 2009-10 season. The Flyers needed a win over the Rangers in the last game of the regular season to even make the playoffs as an 8 seed. They clearly had many issues as a team and expectations were low. They rode the coattails of Brian Boucher (who?) and Michael Leighton (who?) to the Stanley Cup Finals where they eventually lost to the Blackhawks. Boucher and Leighton combined for five shutouts over the course of the Flyers 14 postseason wins. Could anyone in Philly possibly see that coming? The other great example that is still burned into my memory is the Boston Bruins last season. Boston went the month of April with a record of 6-6-2, and many of their fans felt they 'limped' into the postseason (sound eerily familiar?). Pittsburgh led the NHL in goals per game during the regular season with 3.38 GPG, and Boston was tied at a modest 13th with 2.65 GPG. In fact, out of the playoff teams that came out of the East last season, Boston only outranked Ottawa and the NY Rangers in terms of goals per game. Those numbers mattered little by the time the postseason finished. Tuukka Rask put Boston on his back and carried them through the postseason. He posted gaudy stats of a 1.88 GAA and a .940 save percentage. He also earned three postseason shutouts, and was one of the three stars in 10 of the Bruins' 14 postseason wins. 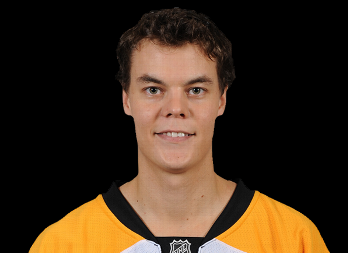 Boston, like Philadelphia three years earlier, did ultimately lose to the Blackhawks in the Stanley Cup, but the only reason they made it as far as they did was Tuukka Rask. The other two came against the Capitals on March 11 when he kicked his leg up to stop a sure goal, and caught a shot from Johannsson at the side of the net, point blank, while the Penguins were on the penalty kill. Those are just the ones that I can remember off hand, but the point is that he has been doing this all season, and the team knows they can count on him. Many of these saves immediately give the team a boost of confidence like it did in the 2008-09 cup run when he stopped Ovechkin on a breakaway before the Pens went on to rout the Capitals in a decisive game 7 by a count of 6-2. As I mentioned earlier this week on Twitter, Marc-Andre Fleury has always had the raw skill to be a top notch goaltender. He showed flashes of this throughout his entire career. Plus, he has already had the good fortune of winning a Stanley Cup in Pittsburgh. Say what you want about his recent postseason struggles, but that experience absolutely means something come April and May. Physically, experienced goalies know how to take care of their bodies better at the end of a grueling season. Mentally, Fleury has clearly dealt with some issues over the offseason. It is clear the last few postseasons had really taken a toll on him, and to his credit, he saw a sports psychologist to help him through these things. If anyone has played a sport before and played poorly, you know the first thing you want to do is get back out there to redeem yourself. The easiest way to forget is to get your mind focused on another play, game, or save. Being any goalie, especially one for the Pittsburgh Penguins, can give a player a long time by himself to think about some of the mistakes he has made. 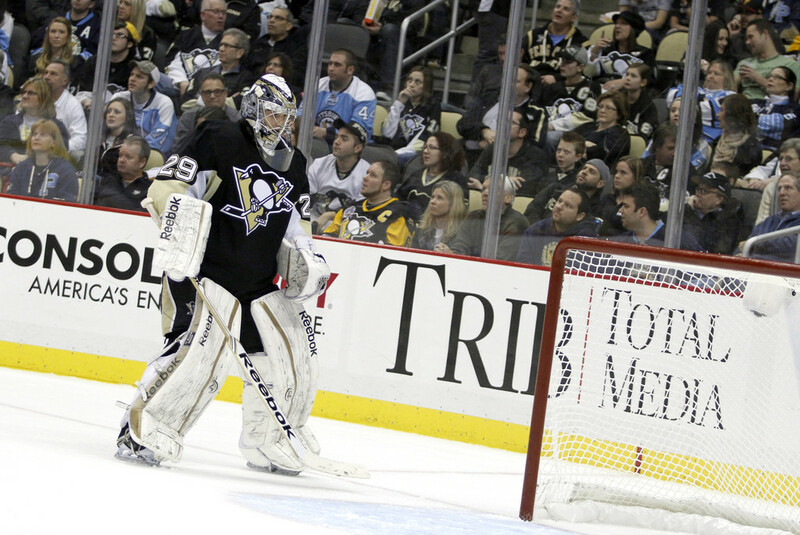 I personally think the psychologist will help Fleury tremendously, and we see a fresh flower come mid-April. The Penguins do have many of the issues that fans mention and worry about, but for all of the reasons I mentioned above, I think he finds a way to be the great equalizer for this team this postseason.